In the midst of searching for gainful employment and taking on freelance assignments, I’ve been spending my time catching up on some of my favorite pastimes. And of course, I’ve been my PS3 to good use. But, there is something I need to admit as a gamer, a secret I’ve kept from family and friends (or at least the ones who don’t see my PSN trophy updates on Facebook) for almost 2 years now. It’s hard for me to admit this, but I’m going to just say it as plainly as possible. Heroes have the choice to be mentored by either Superman, Batman and Wonder Woman (naturally); villains can learn dastardly deeds from The Joker, Lex Luthor or Circe. In order to get stronger or “level up,” characters run missions in both Gotham City and Metropolis based around the main in-game storyline (in a nutshell, Brainiac has invaded Earth, and will stop at nothing to conquer its inhabitants and destroy the planet.) 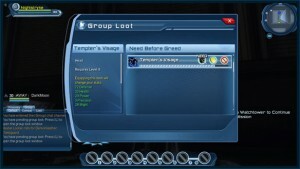 Most of the leveling-up missions are solo. However, once you reach Level 30, you are allowed to run instances geared for two players (called duos), 4-players (called alerts) and 8 players (called raids). I have three heroes that I mainly use (one pure DPS, one Healer/DPS and one Controller) and a villain DPS that is just as strong as my heroes that I occasionally play with. But, for the sake of this post, I will only focus on my main toon (in-game lingo for your most powerful or your favorite character) who’s named, just like my Defiance Ark Hunter, after the late Sir Edward Woodward’s greatest television role. Gotham’s Favorite Son, The Equalizer, my Mental DPS from DCUO. Meet The Equalizer, my pure DPS mentored by The Dark Knight himself. 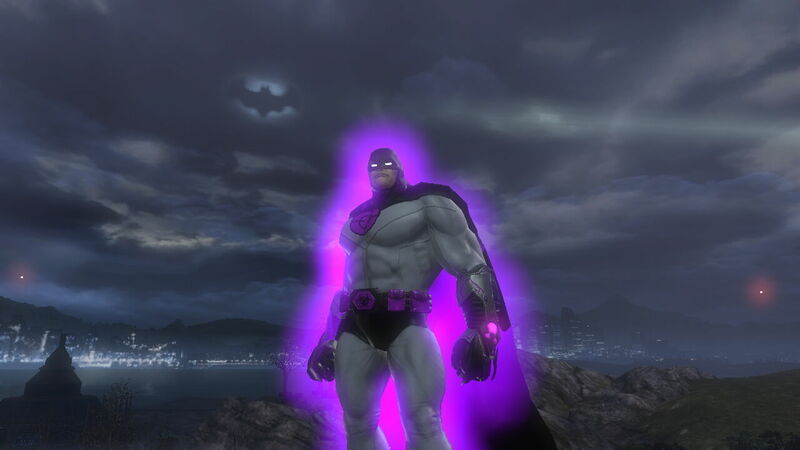 A resident of Gotham City, The Equalizer has a CR of 88 and his current power is Mental. (Note: CR = combat rating, one system used to determine the strength of a character based on the level gear they are wearing. The highest anyone can have at the moment is 90.) Mental powered toons use their extraordinary minds to get things done, possessing moves like Telekinesis, Terrorize and Menace in there arsenal of superpowers. They are also one of three powersets (Gadget players and Hard Light/Green Lantern characters beings the other two) that can also serve as effective controllers if they have the proper gear and stats. Why am I sharing all of this information with you? After all, superheroes are supposed to keep their identity a secret right? Well, if outing oneself worked for Tony Stark, then maybe it can work for me. I mean, look at the reception he received just 6 months after telling the world he was Iron Man. Dancing girls, people! DANCING GIRLS! Seriously, my reason for sharing is simple: during my near two years playing this game, I’ve experienced some interesting, exhilarating and saddening experiences. In fact, many of the lessons I learned in-game are surprisingly enough ones that are being pondered by psychological and cognitive researchers around the world. Basically, there was a major sociological examination going on under my nose and I never realized it until now. And I am going to use future posts to bridge these episodes into thought-provoking discussions on social norms, politics and relationships. How does one make sure everyone in said league/legion are happy with what the group chooses to do on a regular basis? (i.e needs versus wants, sacrificing of self-interests versus the needs of the group.) What happens when a person tries to sow discord in the group because he/she is not happy within the community? (i.e Self-want overrides communal needs and becomes a factor of discontent or a motivator of change depending on your point of view.) As a leader of a league (which I am) how do you keep order and make everyone happy (if that’s possible) without offending the members of your group? 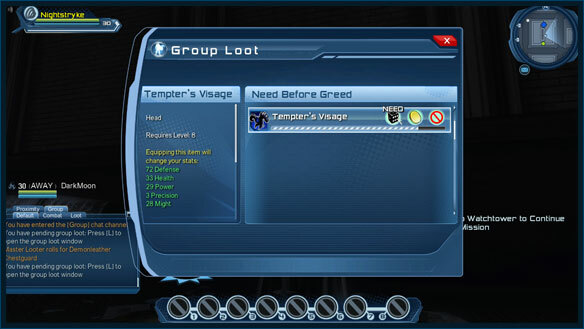 An example of a loot drop under the “Need before Greed” system. Hopefully, like Ms. Goodall, it won’t take me 45 years to get from Point A to B. Copyright © 2019 The Nick Blog. All Rights Reserved. The Tonic Theme by bavotasan.com.